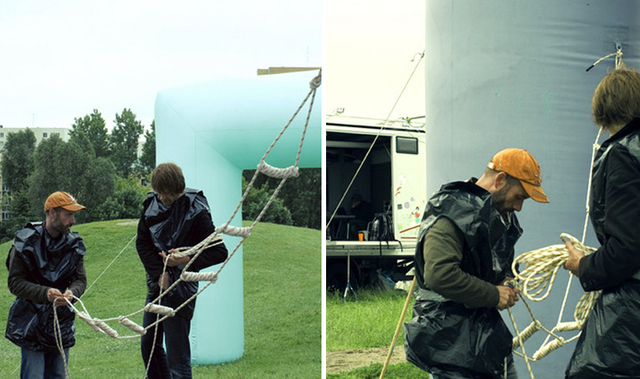 A week long residency in Warsaw as part of The Knot - a mobile research and social activation programme between Berlin, Warsaw and Bucharest. Beginning in Berlin with main activities in Warsaw and a tour of the produced sculpture to three sites in Bucharest, Romania. 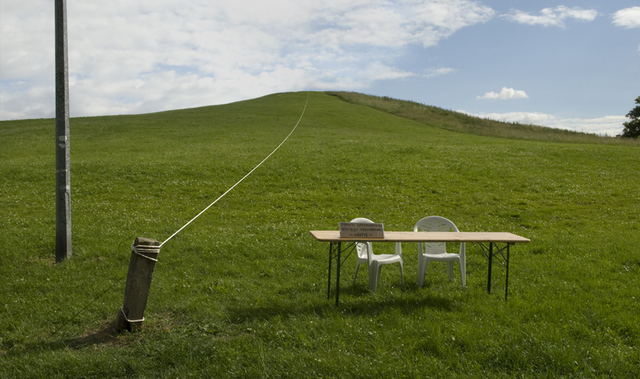 The Ursynów Memorial Ski Lift was a three day event involving durational performance, a participatory workshop and the creation of a public sculpture. The work addressed itself to issues of ownership and public space in post-communist Poland with specific reference to the context of Ursynów Park, Warsaw. 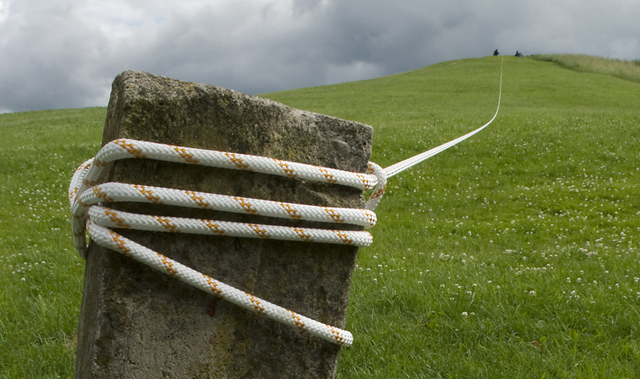 Taking the site of a former ski lift (erected in the eighties, became defunct after one season and was stolen for scrap in the early nineties) as a cipher for the shift from communal to private modes of ownership the work represented the history of the site with a single piece of climbing rope. The privatisation of space, buildings and plant remains a contentious and ongoing issue in Poland and the project explored ways in which forms of communal behaviour might be positively imagined in a post communist context. Our response to Ursynów Park was informed by research visits to the site to learn about the former ski lift from local residents. During the project we installed a climbing rope up to the site of the former Ski lift and staffed it for one day as a ‘free’ ski lift. 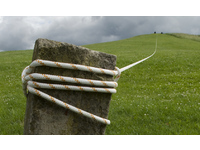 The following day the rope was used, in sections, for a public workshop making rope ladders. 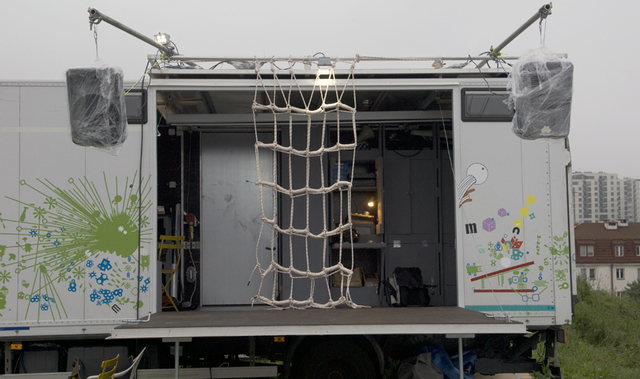 Onday 3, individual rope ladders were combined to create a climbing net which was attached to The Knot’s mobile stage. 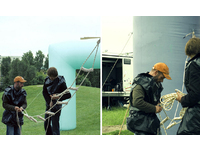 The KNOT - An Experiment on Collaborative Art in Public Urban Space (ISBN978-3-86859-115-6) Jovis Verlag 2011.